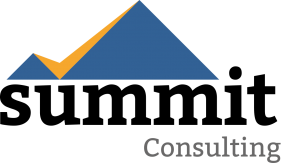 Summit Consulting leverages extensive Fortune 20 change management engagements, transformative project management experience, and a passion for results to provide our clients the tools to communicate effectively. Communication is about telling a story. There are points within the story that need to be emphasized through repetition. The person delivering the message should be relatable and trustworthy. Communication is also about listening. Equally important are the sending and receiving parts of the communication process. What is the one thing that you want everyone to walk away knowing after your communication is complete? You need to think about your audience and target the communication to their needs. How does your message need to be modified to suit different audiences? If you are a large organization relying on communication cascades, how will you measure the effectiveness of these cascades? Communication should be engaging and inspire action. An effective communication strategy is supported by a clearly defined and carefully managed communication plan containing communication goals, key messages, and a schedule of communication events including the audience, communication type, timing and frequency of communication, and the communication deadline. The seasoned communication professionals at Summit follow the 7-step methodology highlighted below. The process needs to ensure timely creation, distribution and storage of communication. Communication should be well planned. Who is the audience? What are the core messages? What is the outcome you seek for your communication? Begin with this outcome in mind. Know your purpose before you begin. Who needs to be informed? Who should be consulted? Who is responsible for developing and delivering the communication? Who ultimately is accountable for ensuring the communication was not only sent, but also received? Detail roles and responsibilities within the communication plan and ensure that all stakeholders are clear on their role in the process. 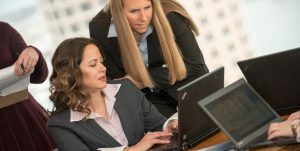 If those responsible for creating communications are wearing multiple hats, as they often are during large engagements, ensure the communication work is prioritized. This is where projects often run into trouble, when communication takes a back seat to other priorities, and confusion and mistrust can come into play. Audiences are overwhelmed by information today. It comes from all directions – email, text, social media, phone calls, etc. People can’t keep up with all of the messages that are bombarding them, and it is difficult to get their attention. What are the 3 main points of your communication? How does this tie back to your purpose for communicating in the first place? Ensure these are imbedded into your communication plan and revisit them often. Consider multiple channels for your communication. The rule of thumb is that a person needs to receive a communication 7 times before it is fully understood. There are complex messages organizations are trying to communicate amidst a flurry of competing messages, so it is important to find the most effective vehicles whether it be an email, post on a website, in-person meeting, direct communication from one colleague to another, etc. Remember to consider how your audience prefers to receive information, not necessarily how you would prefer to send it. Listening and feedback are critical success factors for communication. The most effective communication plan contains points for feedback. Colleagues who deliver the message should also be good listeners. This demonstrates a respect for the audience and demonstrates that a project team cares about their point of view and is willing to take the time to fully understand it. How will you know your communication is successful? Measurement of communication can be done a variety of ways, but it is often through continuing polling of your audience either via formal or informal mechanisms. Engagement surveys, short pulse surveys, or even staying after a meeting concludes to talk informally with participants can help you understand what questions still linger. Communication is also a journey. It can always be better. Take the time to understand how you can improve and don’t take the criticism personally. It is important to understand where your audience sees opportunities for improvement so you can be more effective. 1. Complete – A complete communication contains everything the reader will need in order to take the next step. 2. Consistent – Make sure your communication aligns with previous messages. Develop trust with your audience. Ensure the message doesn’t change from day to day. 3. Clear – Make your messages understandable. Don’t try to communicate too much at once. Focus on the goals of that specific communication and eliminate what is unnecessary. 4. Concise – Make your message as succinct as possible. Hone the message to the core points that tie back to your goals. Avoid jargon and overuse of unnecessary language. 5. Courteous – Respect the receiver of the communication and their point of view. Be polite and sincere. Don’t interrupt. Be positive and genuine. Think about the time your communication requires whether it is the audience taking the time to read the communication or attend a meeting. Thank them for their time. 6. Credible – Speak the truth, even if that means admitting everything hasn’t been figured out yet. Be transparent. It builds trust. 7. Correct – Remember quality in your communication. Does the communication contain the correct information? Has it gone through an approval process? Is it grammatically correct? Accuracy is key.